Growing up, my mom always made a huge deal about Valentine’s Day. We would wake up with strawberry and ice cream waffles and the house decorated with hearts EVERYWHERE. It was such a little thing, but I looked forward to it every year! 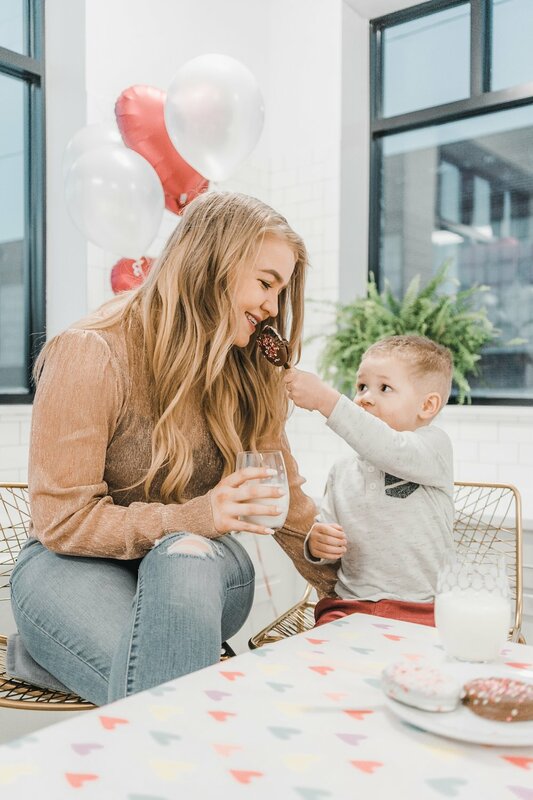 Now that Aimery is getting older, I want to start my own traditions with him on Valentine’s Day like my mom did with me ❤️So this year we had a Valentine’s Day party! We made chocolate popcorn, red punch, and a huge cookie heart that Aimery had lots of fun decorating with sprinkles. We had such a fun time and Aimery was sooo happy, so I just wanted to share the photos with you! Keep scrolling to see!